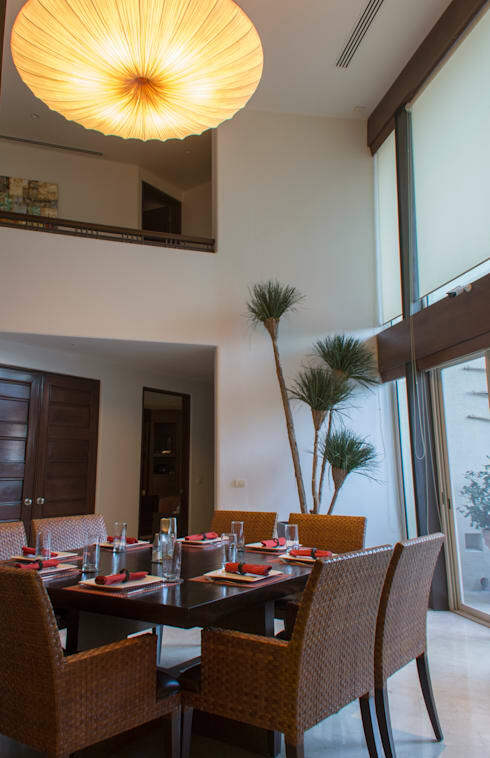 Today we will visit a beautiful house that combines elements of traditional Mexican architecture, with a modern design, resulting in a simply fantastic residence. We are sure you will love it! 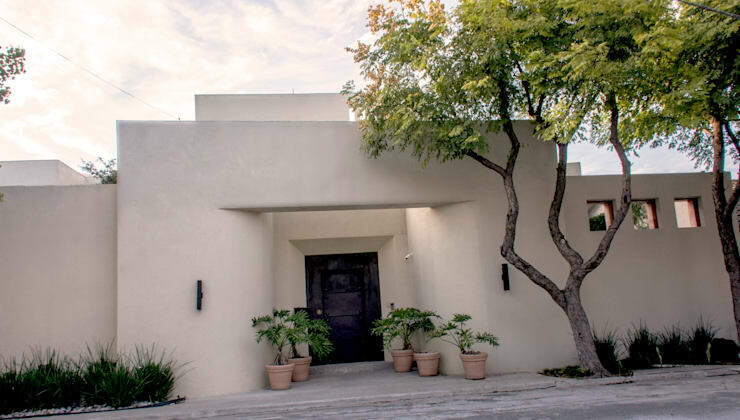 The facade is predominantly white, which gives a sense of stability and security to this modern house. 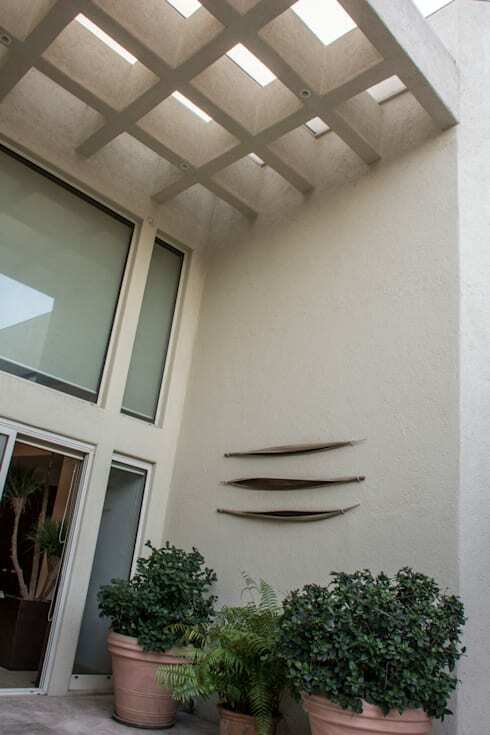 The main entrance is defined by a thick frame, which perfectly indicates the access to the residence, through a large wooden door. The pots and green areas give a natural touch suitable to this nice design. 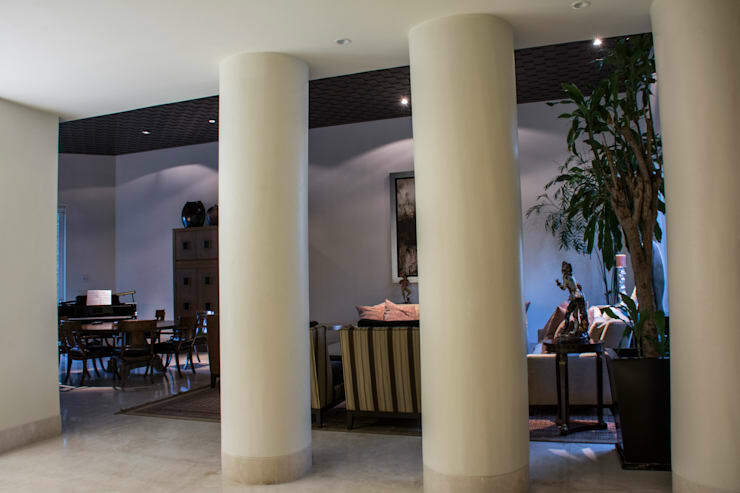 Right in the hall, the social area is separated from the main entrance by two large columns, which not only fulfill their structural function of loading the slab of the residence, but also function as a partition between the different spaces. 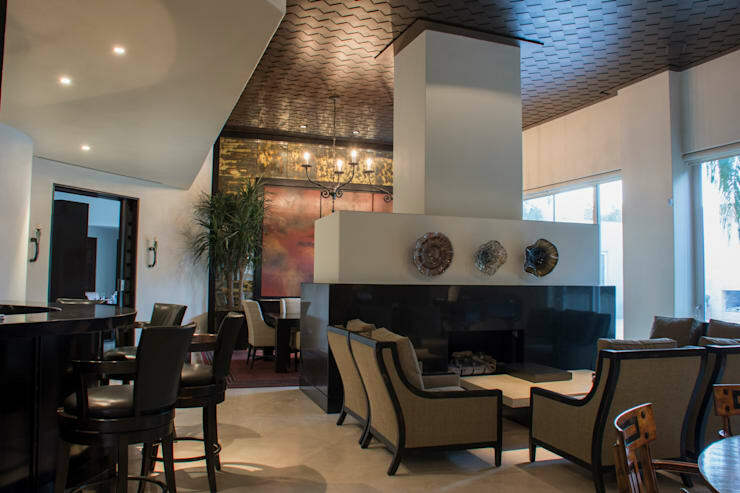 The social area of this beautiful residence has all the luxuries to celebrate the best meetings with friends and family, as it has a beautiful living room, which has a large and modern fireplace, which acts as a separation of this space from where the bar is. 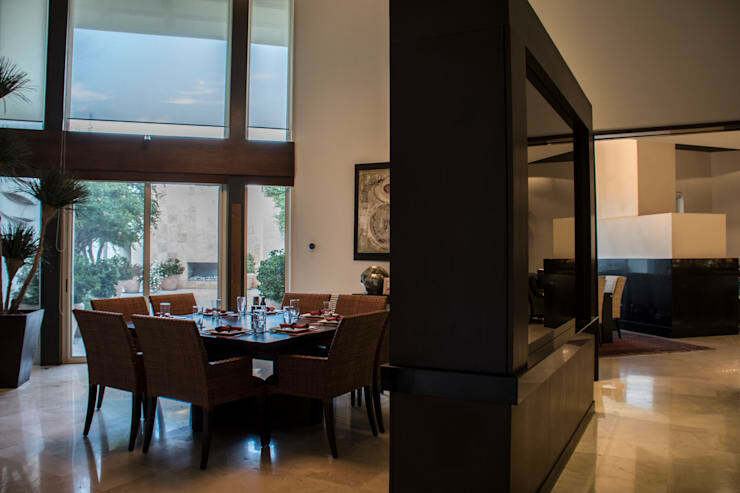 Just to the left of the picture, we can also see the dining room, which shares this spacious and luxurious space inside the house. 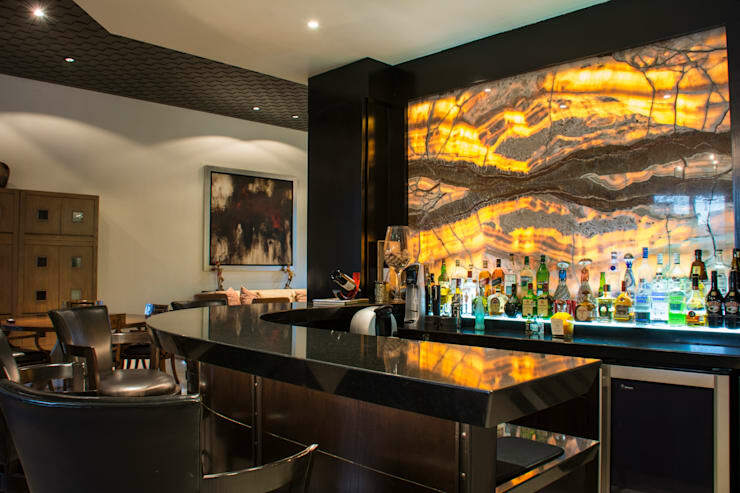 There is no better way than welcoming the guests of the house than with a glass of your favorite drink, served in this beautiful bar, which features a curved bar with a glossy black finish. 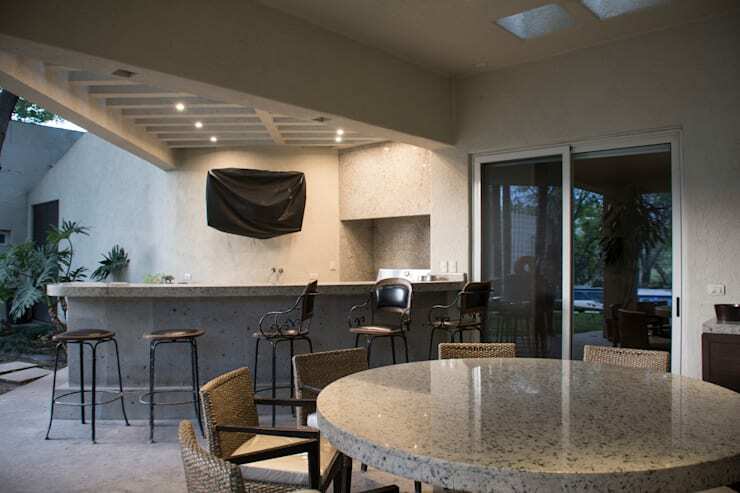 The back wall features a translucent, backlit stone cladding that creates a unique effect in this recreation space. 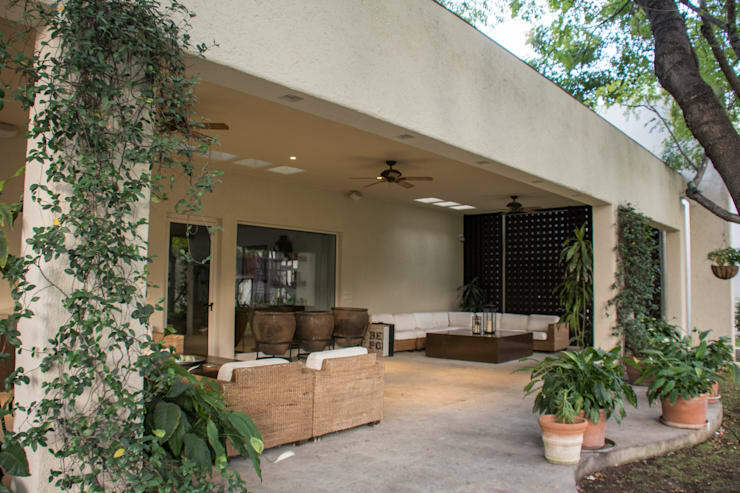 Now we go to the patio, where the transition between the interior and exterior is highlighted by a pergola concrete structure, which allows to create that change of environments without being abrupt, creating at the same time a beautiful set of shadows that complement the overall design of the house. 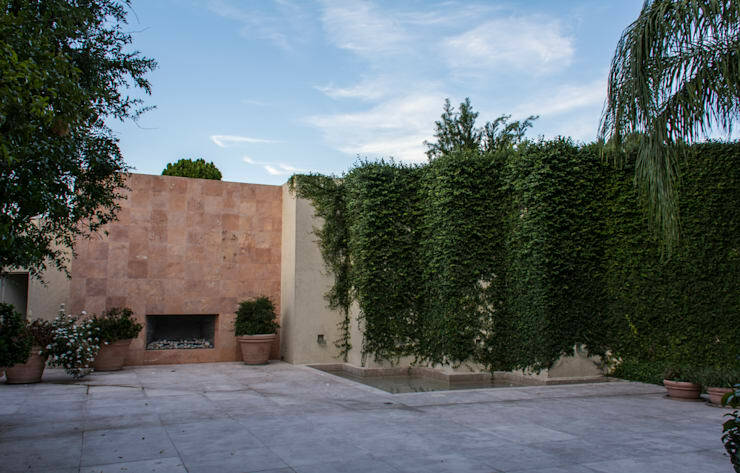 One of the elements of traditional Mexican architecture that is incorporated in the design of this house, is the central patio, where you can have contact with nature while enjoying the outdoors in the privacy and comfort of the home, thus raising the quality of life of its residents. 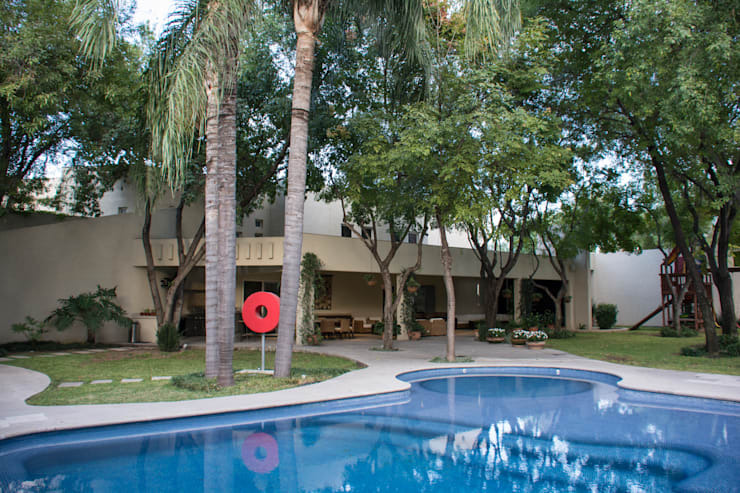 The combination of colors and textures evokes the contemporary designs of Mexican architects, mainly Luis Barragán and Ricardo Legorreta. 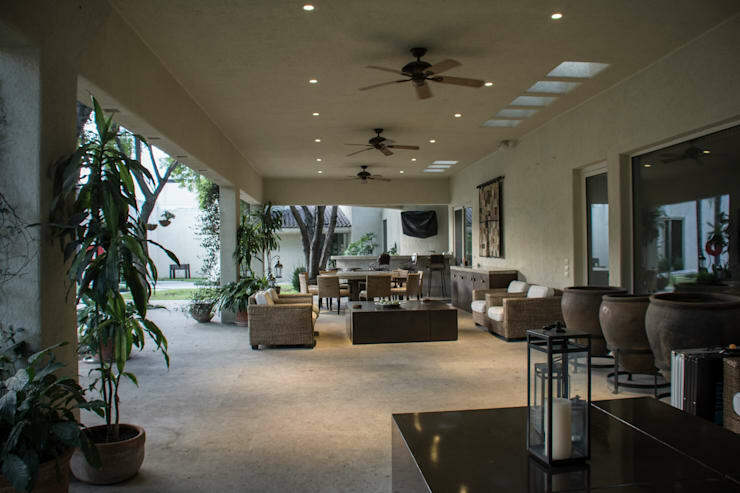 In the patio area sits a large, covered terrace which also serves as a transition space between the interior and exterior, merging both environments, through an outdoor room where you can fully enjoy a rich and fresh summer afternoon in the company of family and friends. A hotel? No, this is just a house. 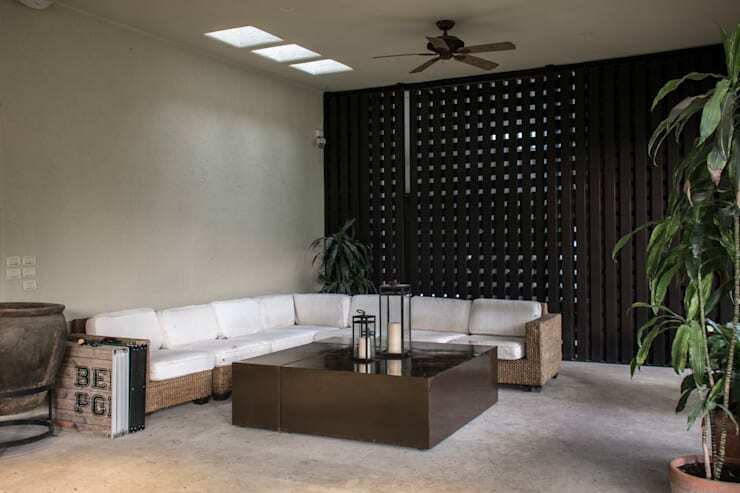 The design details in these outdoor spaces add to their comfort, such as the latticed dark brown wall, which becomes a focal point, along with the 3 skylight cubes on the ceiling, create a relaxing environment, inviting us to spend a pleasant afternoon in the comfortable armchair, enjoying good company and a beautiful view. The cherry on top! Would you look at this pool? 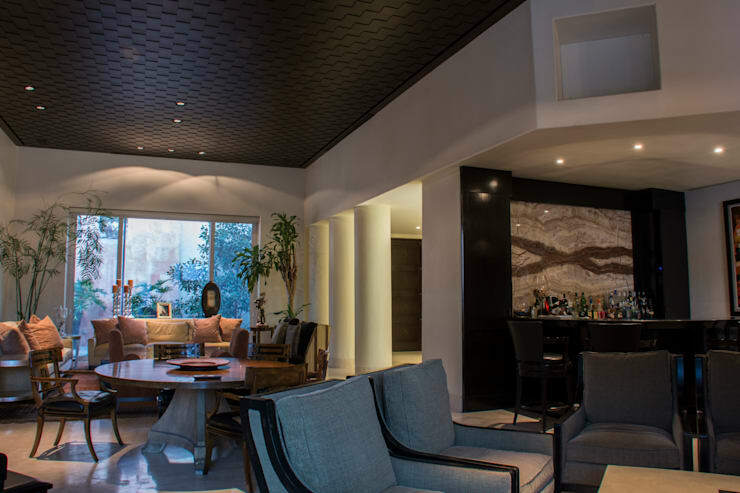 It has an organic and sinuous design, which perfectly complements a recreational area, offering all the comforts and luxuries demanded by a contemporary lifestyle. 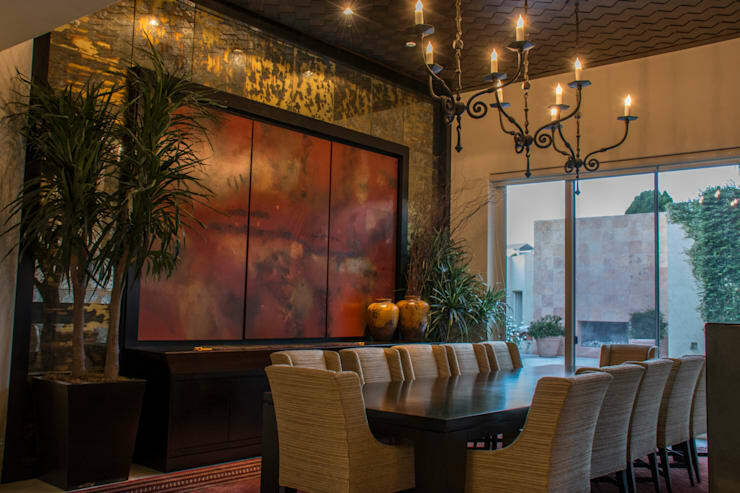 Looking for more home-spiration? Click here?